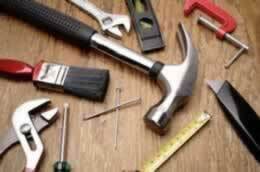 Handyman services in Sterling Heights, MI play a major role in the lives of many homeowners. You may think less of these hardworking professionals but they can accomplish a lot of tasks that you may require for your home improvement project. A handyman in Sterling Heights, MI provides countless services that make him a real life “jack of all trades.” Of course, you can always try doing things on your own. You can attempt to repair your broken window or you can repaint your walls. However, if you do not have the right tools or the knowledge to do things the right way, then you can think of yourself as a disaster that is just waiting to happen. No need for multiple contractors – Hiring Sterling Heights, MI handyman services will get rid of the need for you to hire multiple service providers for your home improvement or repair job. A handyman is highly skilled in many home service jobs, therefore, they can multitask. Years of experience – Hiring Sterling Heights, MI handyman services will give you the assurance that a skilled expert with years of experience is working on your project. This means high efficiency and quality end results. Affordable – Handyman services in Sterling Heights, MI have affordable rates that you can take advantage of. Their service rates are reasonable and are considered to be just a fraction of the rate of a contractor.